In celebration of the American football season, the Running Back Remix mode has made its return to Grand Theft Auto Online. This Adversary Mode stars the undersized Panto in a race against a few supercars. Much like the last time the Running Bac mode was available in GTA Online, the main goal is still for the runner in the Panto to make it to the end zone. 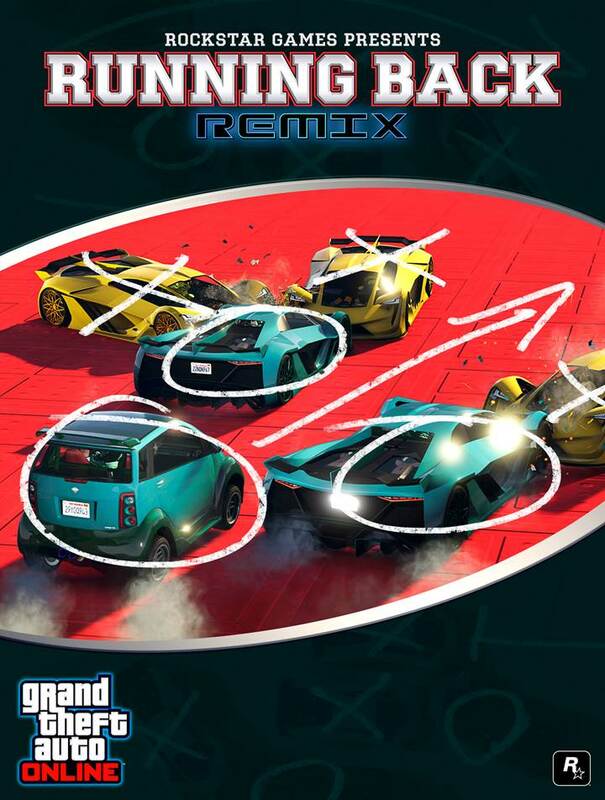 This time, however, the mode has been tweaked to pit the pint-sized hatchback Runner against an upgraded fleet of 5-star recruits in Tezeracts for maximum carnage and competition. You’ll score double GTA$ and RP by playing any of the 7 new Running Back Remix tracks between now and October 1st. Additionally, if you play through September 24th, you’l unlock the Santo Capra Coins Livery for the HVY Menacer & Pegassi Oppressor Mk II. In addition to Double GTA$ & RP on Running Back (Remix), Nightclub owners see a 2X Boost on Nightclub Popularity gained from players dancing at their venue through September 24th. Because why not give nightclubs a buff during football season? Players will aso see a 25% speed boost to both Nightclub Warehouse and Biker Buisness production this week. 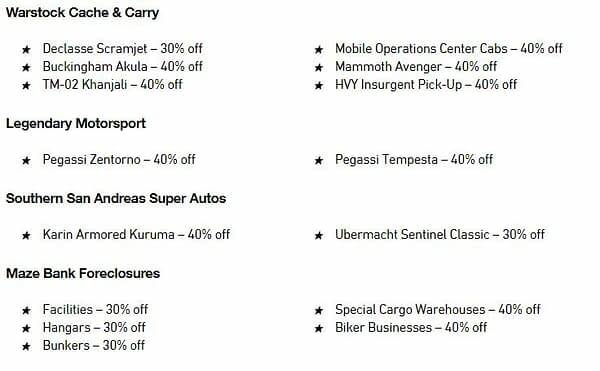 Finally, there are a ton of vehicle discounts this week, including the rocket-propelled Declasse Scramjet and the Buckingham Akula.